2017~ Chinese Happy New Year!!! 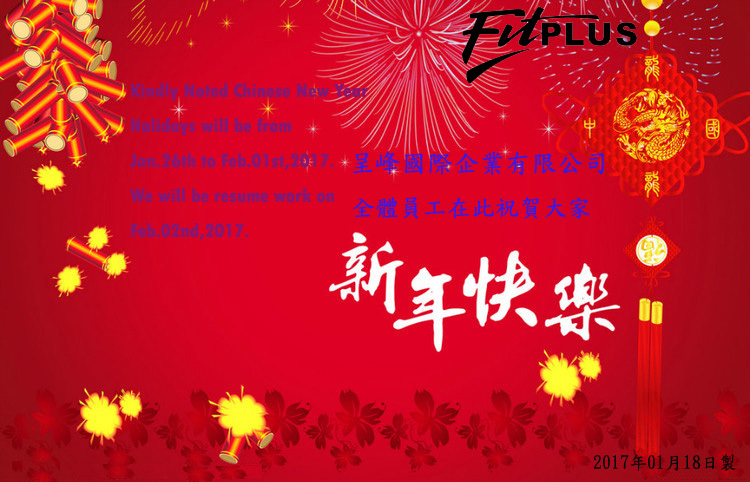 We will have the day off for Chinese New Year Holiday from Jan.26th to Feb. 01st,2017. And will return to the office on Feb.02nd,2017.